An abolition of permit system in Maharashtra and Karnataka and issuance of fresh permits in Delhi bumped up three-wheeler passenger carrier sales by 22 per cent in 11 months of the current financial year as compared to a year ago, according to Society of Indian Automobile Manufacturer (Siam). The volumes, however, were largely led by Bajaj Auto, which has been the biggest beneficiary. Sales of three-wheeler passenger carriers increased to 4.57 lakh vehicles from April to February as compared to 3.74 lakh vehicles a year ago, Siam said. Bajaj Auto saw deliveries expand at a faster pace at 36 per cent. During the period, the Pune-based manufacturer’s market share climbed to 66.65 per cent from 59.86 per cent a year ago. Even if one leaves aside the impact of permit, sales have been very strong in most of the big three- wheeler markets including Andhra Pradesh, Kerala, Gujarat, Tamil Nadu owing to the low base effect of last year. RC Maheshwari, president of commercial vehicle business at Bajaj Auto told Business Standard. Last year’s sales were adversely impacted owing to the note ban of November 2016, he said. The removal of permit restrictions in some of the major cities of Maharashtra including Nashik, Aurangabad, Sholapur, Kolhapur and Mumbai and since the beginning of this fiscal has only boosted sales further said Maheshwari. 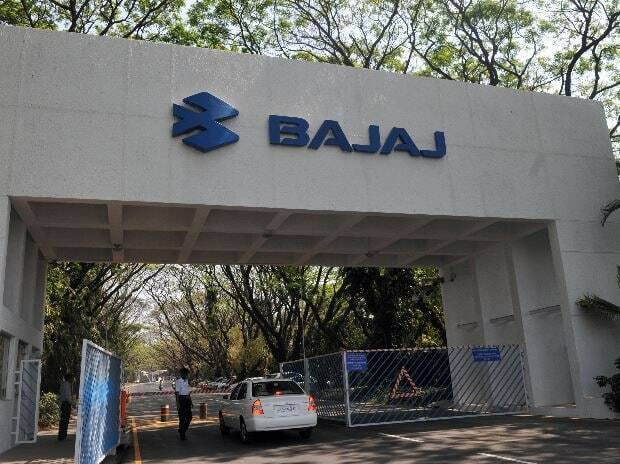 Bajaj’s three wheeler facility in Aurangabad, are operating at optimal capacity but the company doesn’t have any immediate plans to set up another facility. The plant has an installed capacity to make 65000 three wheelers per annum. “We are not sure if the demand will remain strong beyond the first quarter of next fiscal,” said Maheshwari. However, if the government does announce the voluntary scrappage policy, it will be a completely different scenario. In a bid to curb pollution, the government is set to announce a policy that will incentivise owners of 15 year old vehicles to scrap them and replace them with new one. The policy is likely to be announced by March–end. Maheshwari pointed out the strong sales in the three wheeler goods carrier segment where it didn’t have a formidable presence till last year, has given an additional fillip to company’s commercial vehicles sales. Bajaj sold 1997I units of the models against 11486 units last year. Piaggio leads the goods carrier three wheeler segment with 48.46 per cent share. To be sure, three wheelers have been the cash cow for Bajaj Auto accounting for 25 to 30 percent of its margins. “A higher proportion of three wheelers in the overall mix sales, bode well for the company and will help them offset lower sales in the motorcycle segment where it has been ceding ground to rivals,” said Nitesh Sharma, analyst at Phillip Capital. Sharma expects Bajaj’s commercial vehicles sales to remain buoyant through FY19 and moderate thereafter. Bajaj’s market share and volume gains came at the cost of its rivals. While volumes at its nearest rival Piaggio India Vehicles dwindled to 78,452 units from 83,482 units a year ago, market share at the local arm of the Italian automaker fell to 19.31 per cent from 23.91 per cent a year ago. Sales and market share at most of the other manufacturers including Mahindra and Mahindra, Atul Auto, Scooters India either fell or rose marginally. The only exception was TVS Motor which saw its sales increase 22 per cent from 12808 from 10749 units a year ago.